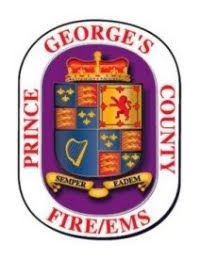 This rescue may not be as dramatic or heroic as the one this morning made by Anne Arundel County Firefighters on the Bay Bridge but you couldn’t tell that to the elementary school children that witnessed this rescue. There was no helicopter hovering overhead and no video captured like the Bay Bridge rescue that should win many awards. It was just 150+ students, staff, firefighters and a baby bird. 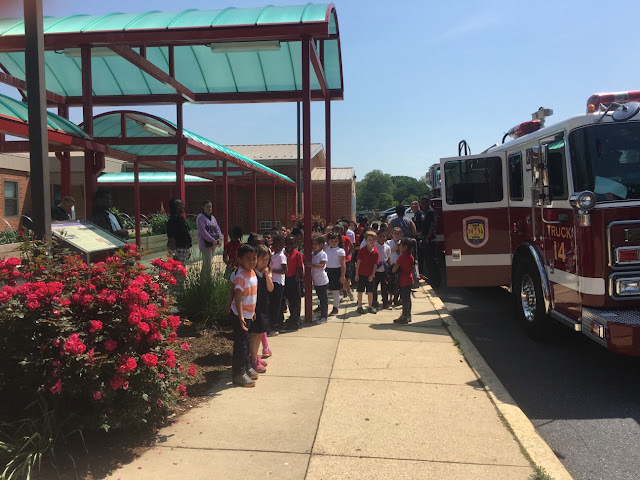 Personnel from the Berwyn Heights Fire/EMS Station were participating in a career day at the local elementary school on Thursday, May 26. 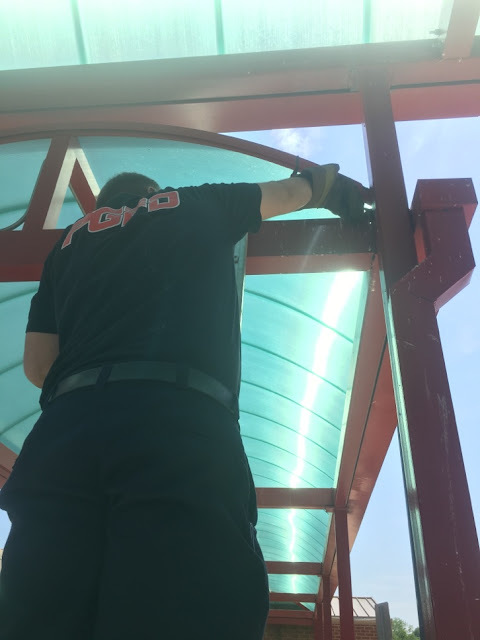 An excited student quickly alerted others that a baby bird had just fallen from its nest and was on the ground, helpless and chirping in distress, a horrifying sight for the students. Over 150 children looked anxiously at the firefighters to see what they could possibly do to save the poor baby bird. Fire Fighter/Medic Technician Timothy L. Barden and Fire Fighter/Medic Technician Stephen I. Reeves knew that they needed to act, if not for the compassion of the bird but for the children that were not taking their eyes off of the bird and them. The firefighters could sense the tension from the children as they moved carefully with the baby bird in hand. The bird was placed gently back into it’s nest as the students and staff roared with applause and cheered for their heroes and the happy ending. Career Day proved to be a big success. 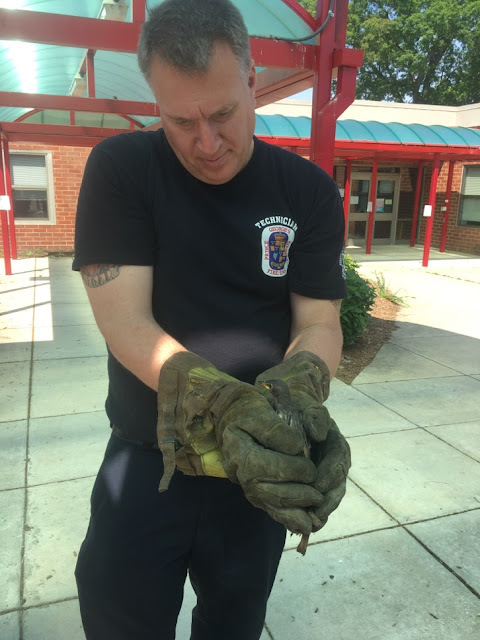 To the students, the firefighters saved the baby bird, however, the crew knew it was for the children the bird was saved. Job well done!! !